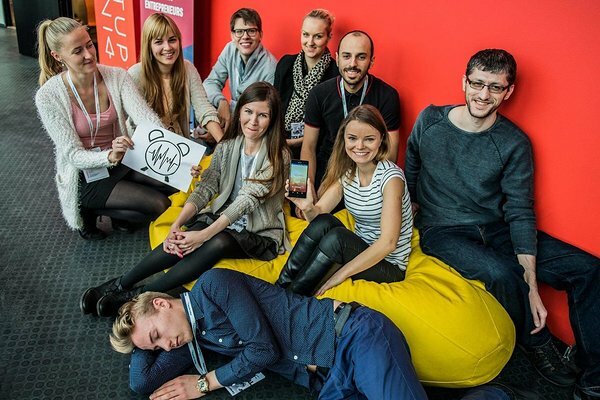 Garage48 hackathons are 48-hour working sessions, where dedicated teams test their market and build a minimum viable product (MVP). 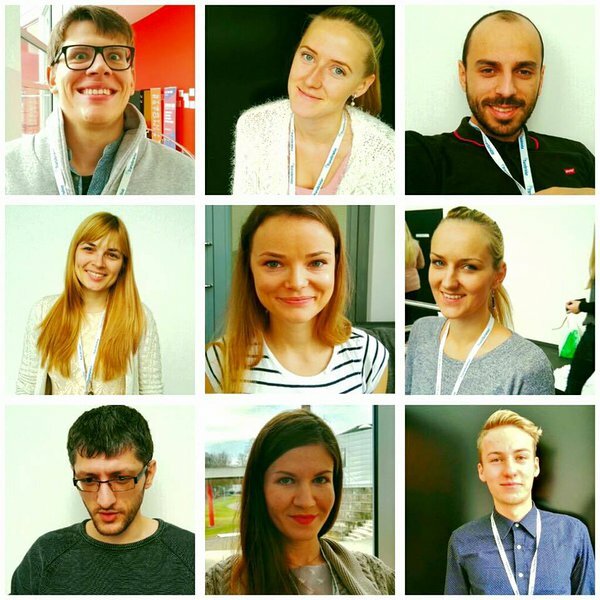 Marit Sall and Caroline Rute from the Startup Estonia team decided to share their experience from the hackathon weekend in this blog post, to encourage people passionate about their idea, especially women, to take part in the next hackathons. 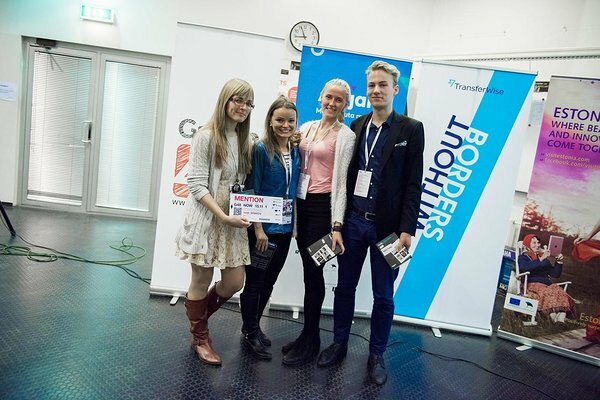 Marit and Caroline were part of team Soundy in the Garage48 Tourism hackathon in Pärnu on 13-15 November. Soundy is a social alarm clock that lets you wake-up your friends with personalised voice messages. It allows people to stay connected with their loved ones, who are away. This app helps people feel closer across geographic distance because it allows you to feel like you are waking up next to your loved one. Alternatively, you can, of course, use the app to have fun and stay connected to your friends – why not wake them up with a prank? Startup Estonia was one of the sponsors of the event. Garage48 organised several pre-events before the hackathon to share information, connect people and help prepare for hacking. This was the perfect time to start talking about your idea, to get feedback and find potential teammates. Marit, who is behind the business idea of Soundy, said that pre-events created confidence in her that she really can pull the idea off. “I found the best developers, Oleg and Michael, already at the pre-event. We discussed the idea and very soon had a good understanding of how we needed to start and whom else we needed in our team. These pre-events also enabled me to test my pitching skills. Maarika and Elise, the organisers, have seen hundreds of pitches over the years and can share tips and tricks of a successful pitch, that will, in the end, secure you an awesome team!” said Marit. Besides pre-events, it is also suggested to validate your market and think about technical solutions. Marit talked to friends around the world, to see if there’s a need for the service. She even consulted some engineers from Facebook and WhatsApp to learn about the technical side of the app. In addition, she discussed the idea with Startup Estonia’s colleagues at SmartCap to learn about future funding opportunities. “It was actually the VC from SmartCap, who helped me the most in tweaking the business idea and monetisation model,” explained Marit. Day 1 – who else is passionate? 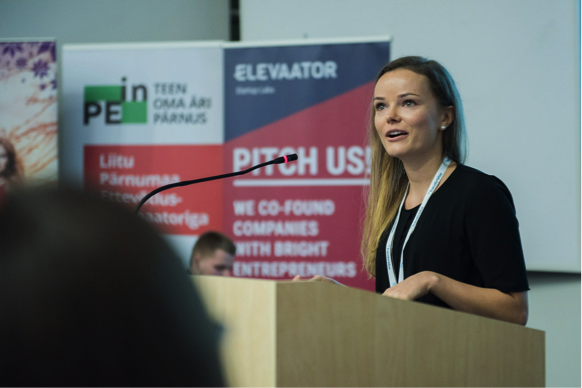 The event started on Friday night: Marit arrived in Pärnu and delivered an inspiring pitch about her idea. “The evening of the first day was the hardest”, said Marit. After a long week at their day jobs and a trip to Pärnu, everybody was exhausted. However, everyone was crazy in love with the business idea and immediately started brainstorming about the next steps. Within the next 6 hours, the team got to know each other and everyone’s skill set, divided responsibilities and tasks and agreed upon goals. “We knew that the plan will probably change several times, but we were happy to go to bed at 3am, knowing that we share the same vision and goals”, said Marit. Day 2 – fun and work! Our creative designers, Aleksanda and Maarja, were able to put together an amazing visual identity for Soundy already in the first 24 hours. Hard work continued on the third day and social media following gathered speed: more than 250 likes on Facebook, more than 350 likes for the Facebook photo of the team, more than 70 likes on Instagram, more than 50 early bird users signed up to test the app. And then, as by Murphy’s law, everything crashed! The app was not working at the last checkpoint, the website was down, and the Facebook campaign ended up being useless without the website. That all created extra work for the team to get everything ready for the final pitching session! It took the coordinated efforts of the whole team to get the issues solved, while Marit had to keep her focus on preparing for the evening’s pitching. It was suggested to work on the final pitch the whole day. Soundy’s experience shows that this advice should be taken seriously. Presenting your idea and product is actually harder to do than it may seem. Team Soundy worked long on the pitch, but still, looking at the video again (starting at 18:40 on http://garage48.org/events/parnu) we know what we want to improve in the future. Having the app finished, visual identity created and the social media channels active, guaranteed Soundy positive feedback from the audience and a special prize from TransferWise! The team is excited to continue working on the app also after the hackathon. The exact plans are still being discussed – time will tell who will form the main team in the long run. What is certain is that there are plenty of people interested in testing the app, so the team is aiming at releasing the app to an initial test group within the next few days. To stay posted on how the app is doing, follow Soundy on Facebook, Instagram or Twitter! #LATITUDE59: Two days of amazing lineup and endless networking with local and international guests.